Over the last year, a common sight greeted visitors who walked down hallways at Aberdeen Hospital in New Glasgow: uniformed security guards perched outside the rooms of patients with dementia and other conditions causing confusion or aggressive behavior. 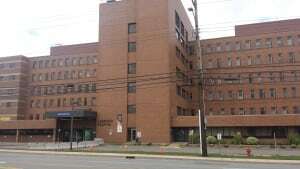 With 104 beds and an emergency room, the hospital is far from Nova Scotia’s largest. Yet, between October 2014 and September 2015 it spent $936,000 on security guards to watch patients — nearly one third of the $3 million spent across the province on so-called patient watches in hospitals, according to figures obtained by CBC News through freedom of information laws. In addition, Aberdeen spent another $425,000 on regular security services, such as perimeter checks. 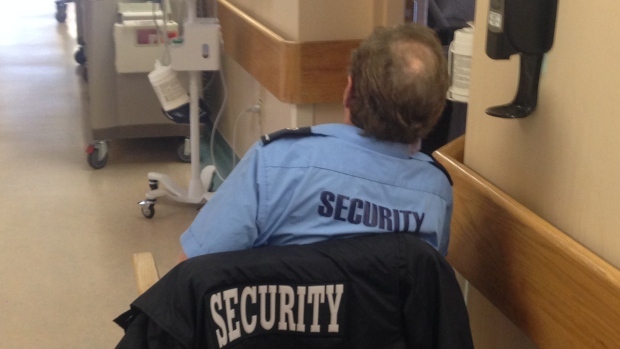 By contrast, Digby General Hospital spent just $171 on security last year. The two facilities are polar opposites in what a CBC News investigation has found is a patchwork approach to providing patient watch services in the province. While the new provincial health authority is promising changes, critics are calling for a complete overhaul. Security guards at Aberdeen are assigned to patients at risk of leaving, getting out of bed or pulling out IVs. In the event of an incident, they alert clinical staff who are responsible for patient care. There are upwards of 30 patients waiting in hospital for placement at long-term care, Chisholm says. Even so, CBC News has also learned some of the cost can also be attributed to a handful of guards assigned to shifts when there were no patients to watch. And correcting disparities across the province is a priority, according to Allan Horsburgh, the chief financial officer of the Nova Scotia Health Authority, which took over from nine district health authorities this spring. “That’s one of the reasons why we are looking at new ways of doing things as one system, not just security, many of the services that we are looking at, trying to make sure we are standardizing our processes,” Horsburgh says. Security costs can also differ from hospital to hospital depending on the availability of other services in the community. For example, the much larger Halifax Infirmary paid guards only $159,000 for patient watch duties because the hospital was able to hire a patient sitting agency. Hazelton wants the new health authority to adopt a model similar to one in Ontario. She says personal care workers in that province sit with most patients, while security guards have training to allow them to restrain agitated patients if necessary. “They have considerably more training and they’re all qualified to be part of the team so if a nurse is concerned about a patient … then they can have the security in the room with them to help deal with the patient if the patient were to become upset,” she said. As a result, she says the violent incident rate and nurse injuries have decreased. The health authority insists change is coming in Nova Scotia, though likely not enough to satisfy Hazelton. 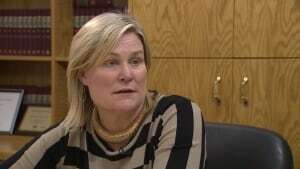 Chisholm says there’s a move away from using security guards and restraints, towards bed alarms and other devices and techniques to monitor patients. In June, the authority issued a provincial request for proposals for security services. It’s still evaluating bids. Horsburgh says the goal is to make security more efficient and effective than what’s in place in various hospitals now.